Eminem’s anti-Donald Trump freestyle wasn’t such a good idea, according to the 45-year-old rappers new album Kamikaze. 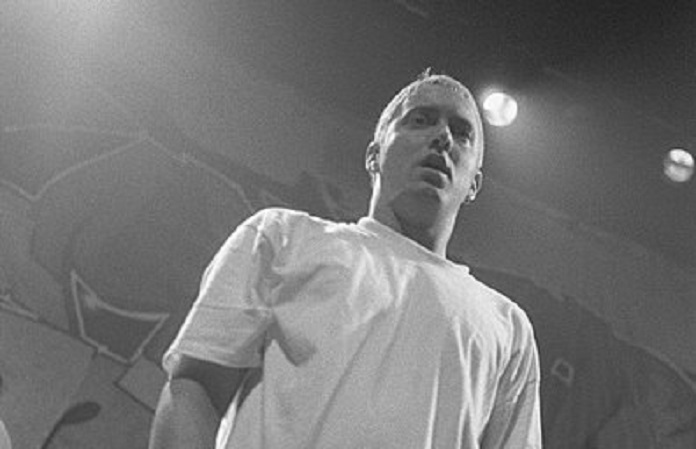 On the first track on his new album Kamikaze titled “The Ringer,” Eminem expresses regret for attacking the president and his supporters at the 2017 BET Awards. “But if I could go back, I’d at least reword it / And say I empathize with the people this evil serpent / Sold the dream to that he’s deserted,” he raps on the track. In his cringeworthy profanity-laced 2017 BET freestyle, Eminem smeared Trump calling him a “racist” and oddly suggested that the President would plunge the world into a nuclear holocaust, among other crazy things. However, Eminem says he hasn’t changed his mind about Trump, but it seems he is a little worried that his “line in the sand” attack on his fans may have irreparably hurt his already dwindling fan base. “That line in the sand, was it even worth it? / ‘Cause the way I see people turning is making it seem worthless / It’s starting to defeat the purpose / I’m watching my fan base shrink to thirds / And I was just trying to do the right thing,” he raps. The 45-year-old also said that a hit to his popularity wasn’t the only consequence of the BET freestyle – it also earned him a visit from the Secret Service. “But I know at least he’s heard it / ‘Cause Agent Orange just sent the Secret Service / To meet in person to see if I really think of hurtin’ him / Or ask if I’m linked to terrorists,” he raps. While Eminem’s new album Kamikaze is a hit with what little fan base he has left, reviews are not so kind for the middle-aged rapper. Eminem is 45. His newest album, Kamikaze, is the album of a confused middle-aged Marshall Mathers whose style and ethos are at least a decade past their expiration date. The album is a turbulent 45 minutes that feels twice as long. And, ultimately, it’s a big old bummer no matter how you dice it. This image is licensed under the Creative Commons Attribution-Share Alike 3.0 Unported license.